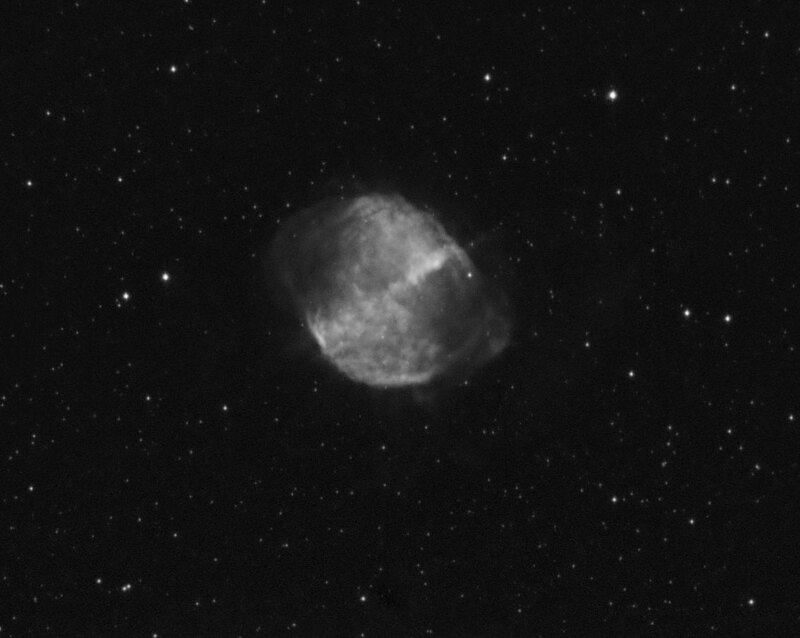 M27, the Dumbell Nebula might be one of the most terribly over photographed targets in the sky, but according to my database I haven't imaged it with my telescope since 2006, so during a poor evening when the outside lights were on I ran off 7x300s frames with the Ha filter on the 8 inch newtonian and then aggressively flattened the result to remove the expected gradients. What I ended up with suprised me: You forget how bright the bright targets are. If you squint a bit, you can almost see a sniff of the outer halo. This was mostly an experiment whilst I was playing with other stuff, but turned out nicer than I expected.